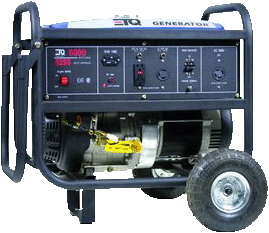 Generators come with a full tank of gas which is is included in the price and will run for approxiamatley 5-7 hours depending on the amount of items plugged in to it. If your party is longer then 7hr. addtional gas is available to purchase.